The foremost exhibition for electric automation technology – the SPS IPC Drives fair – took place for the 28th time from 28–30 November in Nuremberg, Germany. 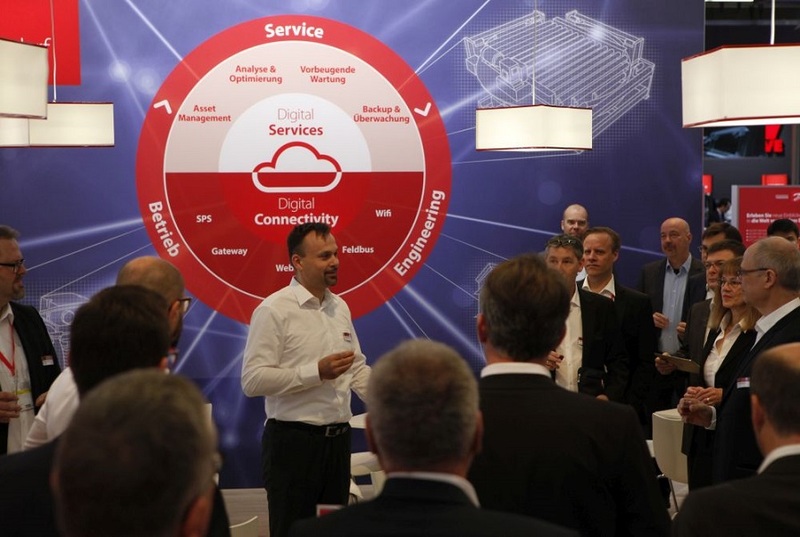 For Danfoss Drives, the SPS IPC Drives fair was the ideal setting to talk more about our digital journey, and how we have transformed from talking on a theoretical level to being able to provide tangible products and pilots. We are continuously developing drive concepts that make life easier for customers in their day-to-day tasks. With a focus on “Simplifying your application”, our booth highlighted many innovative solutions that enable a digital user experience by using on- and offline tools, apps and cloud connectivity. On the trade show front, our digital journey started in the beginning of the year at the Motion, Drive and Automation exhibition in Hannover. Since then, digitalization has been a clear focus area for us. More than just components, technology and features, our digital transformation has meant seeking innovative excellence in everything we do to provide customers with the ultimate, end-to-end digital experience. Our efforts have paid off and, at SPS, we were able to give our customers a totally different picture of Danfoss Drives by providing concrete use cases. Predictive maintenance, WLAN access to our drives, cloud solutions and a lot of other hot topics were high on the agenda. We demonstrated how drives can be wirelessly connected to a smartphone, and showed apps that bring relevant data closer to where it’s needed, and how virtual reality can be used to improve skills and knowledge. Customers were also impressed with our outlook into the future, on our developments in condition-based monitoring, the use of a chatbot utilizing our modular documentation to help our customers in troubleshooting, and more additions to our portfolio of DrivePro® services. On the product side, one of the main highlights on our stand was the full VLT® FlexConcept® portfolio including the revolutionary conveyor drive solution the VLT® FlexConcept® Advanced™. This DC-drive system combines integrated modern motor technology with the latest motor control components to optimize energy consumption, minimize installation costs and enable predictive/preventive maintenance activities. For Danfoss, it’s been a busy and exciting year. We look forward to seeing you and demonstrating our latest developments and innovations at SPS IPC Drives 2018. Save the date: 27–29 November 2018. And, in the meantime, if you have any questions related to our digital journey or about any of our products and services, don’t hesitate to leave a comment in the box below.